Running a bookkeeping business is not easy. You will encounter many changes, so that’s why you have to create new habits to stay on top of your game. 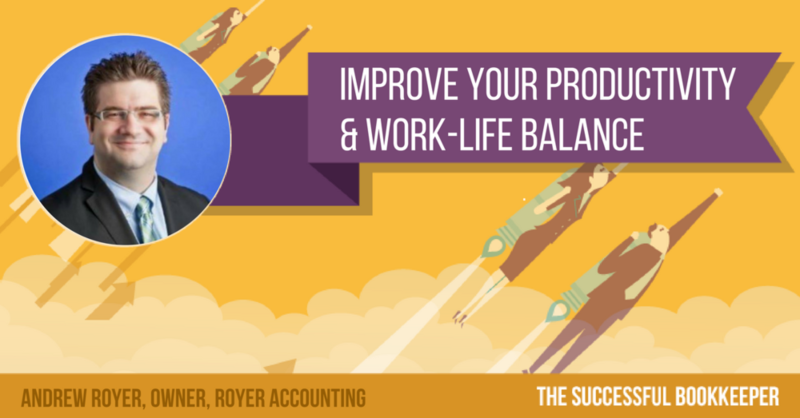 Andrew Royer, owner of Royer Accounting, has dealt with stress and frustration while building his company. To help him overcome his struggles, he was looking for support and inspiration from like-minded people then he found it by joining a mastermind group. By learning new ideas from different people, he was able to implement successful strategies to make himself more productive and efficient without sacrificing time with his family. Even creating a shorter to-do list that focuses on the most important things to accomplish in his day became a big game-changer. Now, he feels recharged and happy every time he gets home to his wife and kids. To learn more about Royer Accounting, visit here. For his Facebook page, click here. For his LinkedIn, explore here.